Your Words Reveal Who You Are…Or do they? The words we speak not only affect others but they affect the speaker too. We assign meanings to the words we use and those we hear. And these meanings register in our mind, affecting the way we think and feel. Words are powerful tools that can bring happiness to a broken heart, peace to a tired soul, whimsical laughter to a child at play. They convey profound ideas or play with the absurd. They describe our neighbors and discuss the latest gossip. One word can be as powerful as a whole sentence. When something pushes our buttons, a sentence may push us into a hole, while just one word can get us over the hump. Many people have a ‘key’ word they use to reduce stress or to express an attitude or feeling. When my daughter was a small child, she sat on the floor putting a toy together while I visited with my mother-in-law. Suddenly, she said, “Oh, dammit.” And my mother-in-law glared in shock. I tried to cover up with, “I wonder where she got that.” Then she looked up and commented, “What, Mommy, that word you say?” Well, I just sank further into my chair. And yes, I changed my favorite word. The user of a keyword has to really feel the word for it to become a meaningful habit. Maybe you’ve heard people use ‘oh, well’, ‘really’, ‘whew’, etc. My favorite word now is ‘whatever’. I rarely use it in conversation, but it has an amazing ability to release a tremendous load of stress when I push to frustration trying to accomplish something. To me, it means the situation is not the end of the world, so I can just let it go, at least for now. Words have been known to change whole civilizations when a crazy person sits in the power seat spouting directions to his helpless subjects. They gather in the streets carrying signs with words of protest. But they remain helpless, and eventually bend to oppression. When we hear false statements long enough, we tend to believe them. And today we live in a world where words have transformed peaceful, caring minds into ‘us and them’ attitudes filled with judgment, hate, anger, fear, and separation from one another. Now is when words of love and peace are needed. And a good place to start is with our words to ourselves about who we are. Thoughts speak with words, and these words create beliefs and feelings about ourselves and others. Listen carefully to what your own thoughts are saying about you. Are there doubts about the truth of who you are? And have you allowed the words of others to sway your vision of your true self? Look closely at your self-image, and answer these questions. Then use descriptive words to reveal the truth about you, words like honest, loyal, intelligent, kind, good-looking, anything positive. And add some words for negative traits you can work on. We all have those. I think three things are important for people to feel whole and fulfilled...understanding, validation, and caring. All of these can be accomplished in the way we speak to others and in the way we hear others speak to us. Too often in conversations, we’re just hearing words, and not really hearing the other person. But if you listen with a caring attitude and your words reflect on what they’re saying, they’ll hear and feel the goodness that is you. 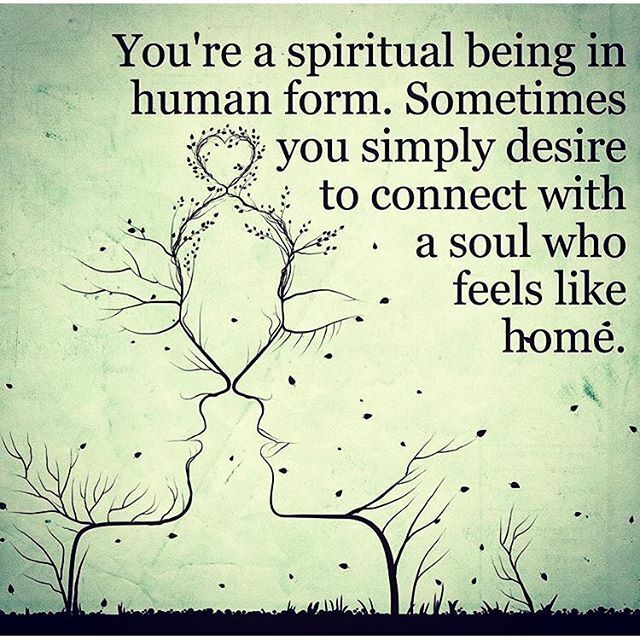 Both will feel whole and fulfilled. And they will not forget. Today, we’re living in a time when too many people have chosen a hateful journey. And we all suffer. Make your journey one of peace, harmony, and love. And let your words reveal this in you and as you. Then our journey may have a different future. Enjoy your words. They reveal who you are. 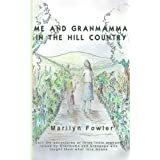 Marilyn Fowler, Author “Silent Echoes” and Me and Granmama in the Hill Country available now on Amazon online. Sorry, I haven’t been around for a while, but due to a bout with illness, I just couldn’t make it. And since our past Veteran’s Day, I especially wanted to remember our veterans with an article. Didn’t make that either. But I do want to express my heartfelt gratitude to all the men and women who served our country with their love and dedication. And if you know a veteran, let him/her know you care. Thank you. I sometimes joke and find a laugh. And takes its rightful place. To fill the empty space. And calms the hurt below. Where I think angels go. And find that vital spark. To find my joyful way again. 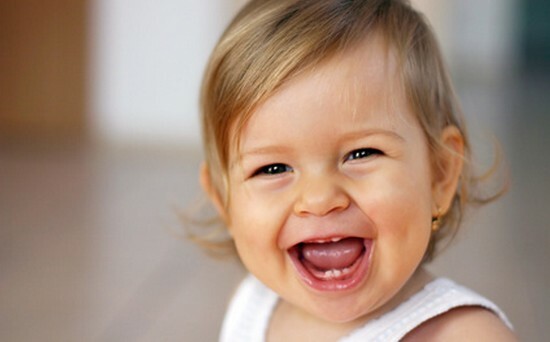 I wish you a beautiful laugh whenever you need one. Are We Connected or Separate? Truth or Delusion? Are We All One? Just as many drops of water are part of the same ocean, each person on earth is part of the same human family. And we’re all connected by energy.There’s nothing that’s not energy…including us. And this energy moves among us, uniting us, connecting us as one earth family. 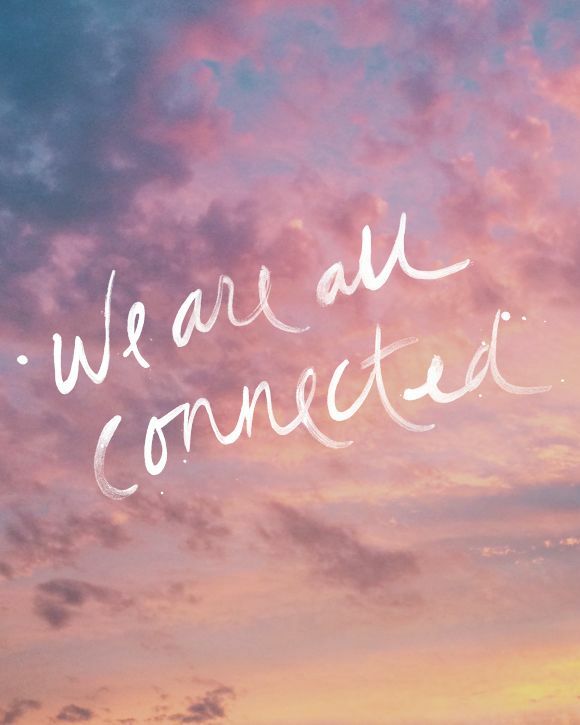 We can’t exist alone.We’re connected. And we need each other. Our life is within us, but it’s kept alive through our connection with others. I sit here thinking about what I want in my life, and I realize it’s not only about me. It’s about all of us and the world we live in. My mind runs in two dimensions. What do I want for me? And how can I exist without you…all of you? It may seem impossible that my intentions, my desires, can affect anyone but me. But there is power in the energy I project with my thoughts. And what I envision today for myself and others can manifest in positive and negative ways far beyond what I imagine. I remember when I was a child during the Great Depression years, and my family lived in a large apartment building in Detroit. We were the only American-born family there. All the others were from different countries. Everyone left their doors open during the day, and I had such fun sneaking in front of each apartment door listening to different languages spoken, smelling ethnic foods cooking, being part of a wonderfully diverse world. We shared whatever we had, and offered love and compassion in the hard times. In spite of our differences, we were a family. We were connected. Today we live in an ‘us and them’ world, choosing separation over togetherness. We look down on others unlike ourselves to the point of bigotry, contempt, even hatred. We attend worship services and then condemn those different from us. And we blame others when misfortune invades our tightly knit lives. On TV we see the result of separation producing senseless loss of life. And we bolt our doors at night to feel safe. We produce enough negative energy to build a thousand tombs to hold the spoils of separation. And we don’t know we’re connected. When I abuse my brother, I abuse myself. What do you want, really want, in your life? Think about it. What you envision today and hold in your mind can bring blessings in your own life and can make a difference in the world where those blessings are needed. Start with people close to you, and gradually move out to those you don’t know. Use understanding and compassion without judgment. Then allow your love energy to embrace your entire world family. What a responsibility we have. Yes, responsibility. Each day is a new day to live life in more meaningful ways, ways that not only help determine the quality of your own life but for all those millions with whom you are connected. You may not personally see the blessings you provide with your loving thoughts, but they will land where they’re needed. And you will be blessed. I wish you peace and joy in all the days ahead. I hope you and Marilyn enjoy some “Wonderment and Peace” in your life today. Every day you have a gift. A new 24 hours to create your own experience. You have all the tools you need to color your day with wonderment. Your gift includes sight, sound, taste, smell, and touch. What will you create? You run. You hurry to get there. Don’t be late. A job to do. Bills to pay. Food to prepare. Errands to run. Tend to this. Tend to that. Then night comes. Your day has ended. You’ve spent your gift. Did you create time for wonderment? Today is a holiday. I took my cup of coffee out on my back patio. I spied a bird in the oak tree. He whistled. Then I whistled. Then he whistled. And I whistled. He said it was a beautiful day with the sun coming up. I told him I was happy to share the morning with him. That’s wonderment. I looked up to the sky billowing with white clouds between the sun’s rays. An old man with a white beard sat atop the fluffy mass, and a sparkling flower bloomed. That’s wonderment. I went to the grocery store and ran my cart up and down the aisles. I picked up an apple. A bright red color. I rubbed its smooth skin. I put it to my nose and inhaled its sweet aroma. I saw a woman looking for a greeting card. She didn’t need the walker she had last week. The clerk smiled when I called her by name. That’s wonderment. I went to a birthday party for my niece and me. I’d wrapped her gift in lavender paper. She wrapped mine the same. We laughed at our coincidence?I savored the coconut cake that melted in my mouth and the almonds that crunched between my teeth. That’s wonderment. I heard some talk of politics and problems to be solved. But I heard joy in laughter and felt the love in all the hugs. A soft blanket covered the living room floor where my niece’s grandbaby explored her array of toys. My brother played the piano, and she waved her arms to the music. That’s wonderment. As my eyes took in her world, a poem went through my mind. I watched her playing all alone. Such a little sweetheart, 8 months old. A little beauty to behold. Her eyes alive with new delight. Pure wonderment on her happy face. Outstretched arms in sweet embrace. My heart longed to be where she was then. Oh, if we could but keep those moments in life. And return to that sweet paradise. What do you find at the end of your day? Are you tired? Does your body ache? Is joy in your heart, or just glad it’s over? 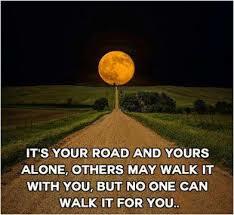 You have the power to create your music on your self-help road to freedom. The day is your gift, and you experience what you choose to create. Do what you need to do, but open your eyes to the wonderment that’s there if you choose to see it. You are beautiful. Make each day as beautiful as you are. Look in the mirror and see the wonderment of you. What a blessing you are. That’s wonderment. May your life be filled with Wonder! We’re all afraid sometimes. It’s part of the human condition. Rational fears of a real danger mobilize to positive action. But fears of imagined threats can be destructive and immobilize to exhaustion. 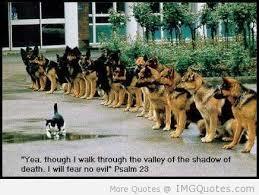 We deal with both as we move along our day-to-day path. And it’s helpful to understand what it is we’re dealing with. A few years ago, I was in a serious car wreck caused by a driver making an illegal turn in front of my car at an intersection. My foot immediately slammed on the brake. Panic and fear gripped my senses, and I couldn’t stop screaming until impact suddenly stopped my car. 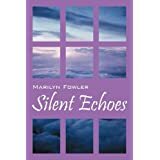 I spent 4 days in the hospital and 2 months in a nursing home for rehab. I went from a wheelchair to a walker and then a cane. Yes, real dangers need positive action. But fears we conjure up in our minds take their toll in unnecessary stress and worry. So what are you afraid of? What scares you? Does your mind sometimes drift into “what if” thinking, and you function from a state of fear? What if…I don’t get the job, I make a mistake, this person leaves me, I get sick again, I look foolish, my plan doesn’t work. What if…what if…. It doesn’t get you anywhere, does it? But we all do it. We can’t see into the future, so everything in life is unpredictable. Caution is useful, but fear of the unknown can become a damaging habit. Usually, it begins with doubt, then you worry, and then fear sets in. Can you imagine how much negative energy you’re pouring into a situation? You’re already contaminating it. And your mind has chosen that route. But you have the power to choose freedom. An effective way to stop a fear habit is to replace it with a habit of faith. And that takes some monitoring of your thinking patterns. Once you identify your doubt, worry, and fear, then you can do something about it. When you feel that first bit of discomfort in the pit of your stomach, go inside and clarify your feelings, honestly. And begin confronting those feelings. I’m a believer in denials and affirmations to change our feelings about something. We can’t deny our emotions, but we can deny them any power over us. Pull the fear up to the surface and talk to it like you would another person. “Okay, fear, I know you’re there. But I deny you have any power over me. You’re no bigger than a fly on a horse’s rump, so you might as well go away. I’m done with you.” Then affirm the truth about the situation. “I release you now and affirm my freedom from you through the real Power of faith within me. I am a precious child of the Universe, untouched by your mischief. So get out of my life.” Use whatever words you’re comfortable with, but be firm in your faith, faith in the truth of who you are. Ridding yourself of unwanted emotions isn’t easy, and it takes practice. But as time passes, you’ll feel a shift of courage within you, and you’ll smile. As Maya Angelou says, “Courage is fear that has said its prayers.” Not every situation in your life will turn out the way you want it, but you can avoid those negative feelings, and walk your path with courage and faith. It’s like having a tool in your pocket when your human self gets in the way of your sacred Self. Life is not for living in fear. It’s for learning and growing and feeling happy. I wish you faith-filled walks through each experience in your life. Happy Mother’s Day ~ Mom’s, as You Move Through Your Life Journey, How Are You Creating Each Stage Along Your Path? It’s a long journey through life, and as we move through various stages we may not realize that each stage is a gift with its challenges, opportunities, lessons, and yes, blessings. Generally, we just move along and don’t much notice until something happens to jolt us into a realization that time passes fast and change takes place. And sometimes we don’t welcome the change. Our culture is a youth-oriented world. As people age, we want to put them out to pasture, get them out of the way. Just try to find a pair of jeans that come in above your hips or a style you’d wear past the age of 50. And too many lonely people are in nursing homes. We all know nostalgia, and sometimes we want to go back. Ah, how I remember when my children were small. I rocked my babies, rode on the sled with them, got a gash in my son’s head sutured when he fell off his bike, ordered art lessons for my other son, and made my daughter’s prom dress–among thousands of other memories, some wonderful, and some not so wonderful. You know what I mean. You have your memories too. Did you realize time was passing when you lived those years? I didn’t. I just took it all for granted–except the traumatic experiences. I just wanted out of those. Then one day I looked around and realized I had gone through several more life stages. I had aged, and I wondered where it all went…those precious memories, my clear skin, my flat tummy and my firm rear end. Wow. It must have happened when I wasn’t looking. I wanted to keep the happy times. Then I remembered the mistakes, and oh, how I wanted to go back and do those over. I thought about what I might have learned from them, and I was surprised at how much I had learned. But what about now? Was I learning now or drifting? I wasn’t sure. It kind of felt like drifting, so I made a commitment to be aware of my life in each stage, and face each day with trust in God and myself, with intention and hope for a more meaningful life. When I falter and need reminders, I’m sure they will present themselves. So much is said about living in the present, but I think we don’t realize the full meaning of the word ‘living’, to live, to learn, to savor, to share, to be aware of self and others, and to know where we are on our journey and what we want to do with it. We have the power to create the quality of our life in spite of challenges. Did you know that? And you’re probably a lot smarter than you used to be, so you’re more able to create a better future. Think about where you are now, and where you want to go. Hang on to those precious moments from the past, and let go of your mistakes. You did the best you could according to your growing ability at the time. Every stage in life is equally important with opportunities to learn and grow in new ways. You are not what you have or do. You are the beautiful being inside who is on a glorious journey to self-realization, and you can’t find that if you overlook your purpose or fret about where you need to go. Life may not offer the same experiences it did in past stages, but don’t miss the great ones that are there for you now. There is a Divine purpose in all of it, and you are part of that Divine plan for yourself and humanity. Hang on and enjoy the ride. I wish you much happiness in each stage of your journey. Snow has melted, and crunchy slush takes over. It’s springtime again…life coming forth at just the precise time and in the precise way according to nature’s plan. Trees turn green, blossoms of every color discard their buds, butterflies emerge from cocoons, bears come out of their caves and stretch in the warm sun, and every little fuzzy critter scampers to explore what his buddies are up to. Every year we’re treated to nature’s brand new technicolor presentation of rebirth and renewal. And it’s breathtaking. I remember when I was a child in Michigan, and springtime wrapped her arms around the earth and replaced the drab haze of winter with her gifts of rebirth and renewal. I saw it in fields of tulips with every color in the rainbow and in blue and yellow wildflowers pushing up randomly along my path to school. I listened to birds and night owls pouring their songs into springtime air becoming reacquainted with lost friends and celebrating new ones. I felt spring breezes and warm sun caressing my bare legs when I discarded my leggings until the next cold winter. I watched lightning dart across the sky heralding springtime rain. And then I danced in the rain, hopped through puddles, and tasted rain drops on my tongue. Every spring I joined nature in her celebration. With all of my senses, I was part of this glorious transformation. I saw life in nature, and I felt life in myself like we were part of each other in God’s great universe. I saw it and felt it everywhere. Then I grew up and forgot to notice. And springtime grew to mean days were longer, we could save on the electric bill, and vacation time was getting closer. Where did joy of the season go? Recently I looked around and realized it’s all still there…every year. Fall and winter energy pulls us in and says slow down, let go, and regroup. Spring and summer energy pushes us out and says move forward, take on the new, and express your colors. Just like everything in nature we’re wired for seasonal change, physically, mentally, and spiritually. And we can’t help responding to those seasonal changes. We can either respond with resistance and become more physically disturbed and less motivated, or we can answer the call and become more healthy and invigorated. Now is when old painful experiences can pass away and make room for a new beginning, like flowers budding anew after a hard freeze. We’ve all been through those hard freezes. But we need to open our eyes to the possibilities that present themselves every spring. Do you ever think about rebirth and renewal within yourself, or are you content to continue living in the old script you’ve written for your life? Everyone creates a script. It’s like a recipe for living, and we act it our everyday. We may have visions or dreams of how we’d like to change it, but most of the time those fade away, and our springs come and go as they always have. How about taking a lesson from the tulips or butterflies, or like the bear, be brave enough to come out of your cave. Within each of us is a light so bright you can write a whole new script and experience positive changes in your life. A time of rebirth. A time of renewal. Search deep within. What are your colors? What is your song? What are the words you want to say? Someone said, “Your wings already exist. All you have to do is fly.” So spread your wings and fly. It’s your springtime. I wish you beautiful discoveries in your springtime.